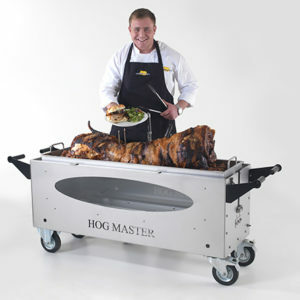 I would recommend Spitting Pig Hogroast machines to anyone they are absolutely fantastic, reliable and bullet proof. I have been using them for over ten years and they never let you down. Coupled with a great aftersales service with help and advice at the end of the phone and parts delivered within 24 hours it really is a no brainer why go anywhere else. I have been using Spitting Pig machines from the very early days of my business. They are great machines very robust and reliable. The lads in the office are extremely helpful and always willing to go the extra mile. I would recommend them to every hog roast caterer. Definitely the best value and also best quality machines on the market I personally use the Titan machines and find them perfect. We specialise in slow roasting and they give us perfect pulled pork and crispy crackling every time. We have used various Spitting Pig machines, started with the early red and black Thor ones, then the Titans currently using a Platinum machine. Always great service from these guys and the machines look great which is important when being a customer facing service. Very good machines, very well built and reliable. Add to this great prices and helpful staff why go elsewhere. Fantastic company to deal with, unbelievable after sales service and always great prices. The best machines by far. 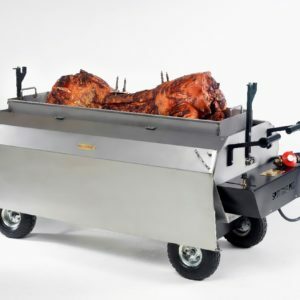 For the best quality , robust, good looking hog roast machines in the UK there really is only one place to go, the Spitting Pig Company. 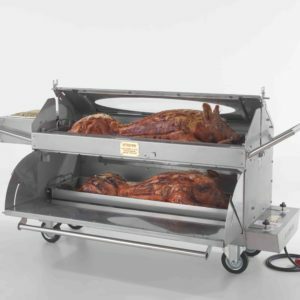 We have been cooking hog roasts throughout the UK for over twenty years and this gives us a very valuable insight into what is required from a hog roast machine. We have never stopped developing new machines and methods of cooking pigs to keep up with the current trends and requirements. Manufactured in the UK at our purpose built facility in Lancashire, our machines really are the Rolls Royce of hog roasters and built to look good and last for years, whilst working hard seven days a week. 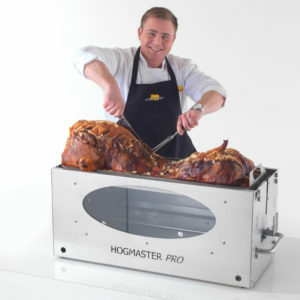 If you can spare the time a visit to our factory in Lancashire, it's well worth the trip, you will go away with a lot of knowledge about hog roast machines and the industry in general. We are open Monday to Friday 8am – 6pm, Saturdays 8am – 12 by appointment. All our machines are stock items and available for next day delivery. We can deliver anywhere in the UK next day in a box by courier, but we prefer to deliver ourselves and spend sometime with you going over the features of the machine and helping with any information you may need. If you have a pig available when we deliver, we will prep it with you and show you how to cook it. If required we can spend the whole day with you and serve the pig as well.